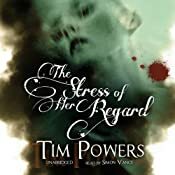 The Stress of Her Regard By Tim Powers, Narrated by Simon Vance for Blackstone Audio — I was sorely tempted to pick this up based on Dave Thompson’s review which I carried here on Audible SF/F, but it was the announcement that Powers will be guest of honor at local sf convention illogicon next January that finally pushed me over the edge of wanting to catch up on more of Powers’s backlist. Here, it’s a wonderful and dark novel of a fictionalized Shelley, Lord Byron, and John Keats, and of the more completely fictional Michael Crawford, amidst a world of vampires and poetry. If I have any complaint at all about the audiobook, which I very, very much enjoyed, it is that the character of Mary Shelley, who (briefly) writes Frankenstein during the events of the book, is such an invisible character. Indeed, Percy Shelley (and perhaps even more so, Lord Byron) are larger-than-life characters here, but Mary shows almost no agency of her own amidst Percy’s costly self-destructions. But through it all, Vance is magnificent, and I hope against hope that the recently released (in print) sequel, Hide Me Among the Graves, comes to audio under Vance’s narration. 4.5 stars. 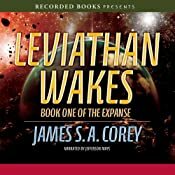 Leviathan Wakes By James S.A. Corey, Narrated by Jefferson Mays for Recorded Books — I read the first chapter of this in print last summer, and had a good idea I wanted to get to it sooner or later. Well, sale-priced and on the heels of being recommended by George R.R. Martin on his blog, I decided that now was the time. 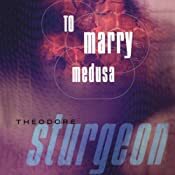 I’m of quite a few minds on this one, but space opera just isn’t my bag, really. Some clever ideas in and around a solidly built world, but not quite enough backstory of how we get to THERE from HERE for it to feel fully realized and solid; the alternating storylines of gritty Belter detective Miller and ice hauler CO Jim Holden advanced things pretty well, but I never felt much of a connection with either under Mays’s narration here. I am a bit more interested in the side-short The Butcher of Anderson Station than in picking up forthcoming sequel Caliban’s War (June 26) but neither really that much. Again: space opera really isn’t my bag. 3.5 stars. 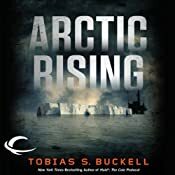 Arctic Rising By Tobias S. Buckell, Narrated by Carolyn Michelle Smith for Audible Frontiers — As above, thrillers aren’t generally my bag, either, though I found a lot more to like, sf-wise, in Arctic Rising than in Neal Stephenson’s Reamde, another “sf/thriller” hybrid of recent memory. (This isn’t a fault necessarily of Reamde, it is after all set in a future as near as next year.) For Arctic Rising, I very much enjoyed Smith’s narration, my first experience with her as a narrator. She handled African and Afro-Caribbean accents well enough, along with a clear mainline narration, though her Russian accents left a little more to the imagination. Story-wise, an interesting and sophisticated near/medium future of a climate change with winners and losers is marred only a little by the incredulous parade of near-deaths and escapes which drive Anika to and fro. 3.5 to 4 stars, somewhere in there. 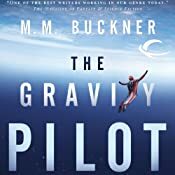 The Gravity Pilot By M. M. Buckner, Narrated by Jay Snyder for Audible Frontiers — Buckner really “dives” (oh, I am so sorry) into a grim near/medium future of ecological collapse and pollution, focusing on skydiver Orr Sitka and an immersive (and addictive) virtual reality construct. Some very interesting ideas, and as always more than capable narration from Snyder, but in the end it fell a little short of my (admittedly high) expectations. 3 to 3.5 stars, somewhere in there. 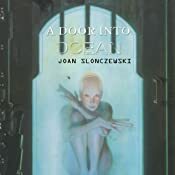 A Door into Ocean By Joan Slonczewski, Narrated by Rosalyn Landor for Blackstone Audio — In a word: amazing. 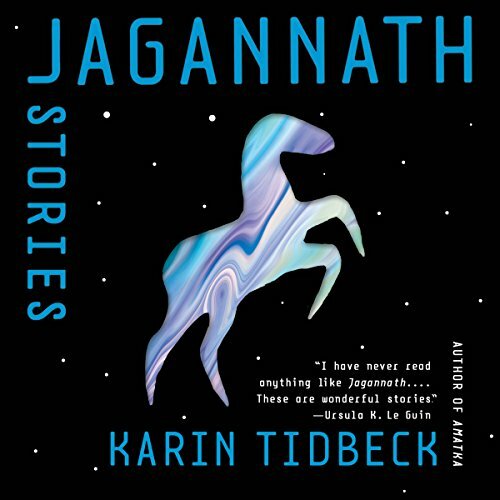 Landor’s narration is beautiful and lyrical, with well-detailed characterizations across the cultures and classes presented in Slonczewski’s award-winning novel of feminism, pacifism, and anarchism in a far-future of multiple visions of post-humanity. It immediately vaults into my all-time favorites list, though perhaps a half-step behind The Dispossessed and Parable of the Sower. 5 stars. And in “real” reading, I finished James Maxey’s Greatshadow — in brief: Pirates of the Caribbean meets X-Men meets Dragonhunter, a lot of fun amidst some really brilliant characters and powers — along with Nancy Kress’s short novel After the Fall, Before the Fall, During the Fall, which I had barely started in February, and which is both a skillfully rendered near-future apocalyptic novel in short, sharp chapters and and an Oryx & Crake-esque post-apocalyptic novel, with the speculation turned up quite enough that Atwood would certainly label it a science fiction, not speculative fiction: even if Atwood’s genetically tailored posthumans are plausible, Kress’s “The Grab”, a time-travel device, certainly isn’t. I also turned my eyes toward some sf for younger readers, getting through about half of The Invention of Hugo Cabret by Brian Selznick in semi-nightly readings with my kids over which we spend quite a lot of time poring over the illustrations, and I read A Monster Calls by Patrick Ness in one sitting on a beautiful Saturday afternoon — a Kitschies-nominated book which packs quite an emotional punch and which I won’t be reading with the kids any time soon. KIDS CORNER: Speaking of Hugo and A Monster Calls, this month I also listened to quite a few “kids” titles (I’m a dad, it’s what we do!) — but that will be a post for another day. And in “real” reading: Any Day Now by Terry Bisson (hat tip to Gordon Van Gelder for putting it on my radar) and Through the Valley of the Nest of Spiders by Samuel Delany (Magnus, April 17), though the latter has seen its publication date slip a half-dozen times since originally being slated for last fall and some catalogs already list it as May 1. I have had it on pre-order since late last summer, and eagerly await the bookstore’s phoning me that I can come pick it up. Any day now… And I’ve also got my hands on another unpublished manuscript which I’m very much looking forward to. But that’s all I’m saying about that for now. This entry was posted in Sam's Monthly Listening Report and tagged a door into ocean, arctic rising, james sa corey, jay snyder, jefferson mays, joan slonczewski, leviathan wakes, mm buckner, monthly listening report, rosalyn landor, simon vance, stefan rudnicki, the gravity pilot, the stress of her regard, theodore sturgeon, tim powers, to marry medusa, tobias s buckell. Bookmark the permalink.